No need to pay extra! 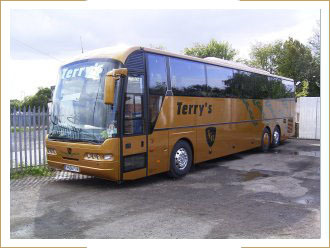 Terry's Coach Hire has once again invested in one of the best vehicle marques available in the UK, MAN-Neoplan. This latest addition to our touring fleet is our second 61 seat, 13.8M long Neoplan Euroliner N316/3 SHD L built in Germany by Neoman (MAN-Neoplan). 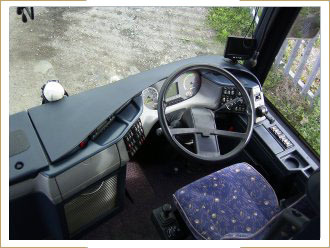 This vehicle is powered by a 12.6Litre 410Bhp MAN diesel engine driving through a 12speed ZF AS-Tronic gearbox with ABS, ASR and integrated brake retarder to ensure your comfort and safety whilst onboard. 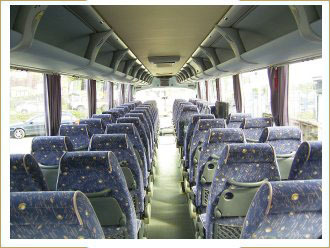 61 Luxury reclining seats with safety belts & tray tables. Full automatic climate control [AC] with additional fuel fired heating to cope with those coldest of days. Toilet washroom, and full hot & cold drinks facility. Enhanced Audio/Visual package with 2x screens, DVD & CD/Radio/PA.